Global sportswear giant Nike has unveiled a hijab designed for female Muslim athletes… and the press went wild. After sparking a flurry of headlines, the Nike Pro Hijab was launched at the end of 2017 – and was welcomed by women who have been competing in sporting events wearing hijabs made from traditional fabrics which suffer from a lack of breathability, weight and the potential to shift during action. Nike tackles these problems by making their hijabs out of lightweight polyester fabric that is stretchy and adjustable, allowing the athlete to adapt the garment to fit their head and their sport. The new product is designed to break down the barriers that are preventing Muslim women from participating in sport. Although competitive sport hijabs have existed for a few years, until now, big brands did not see the need, nor the market – according to Amna al Haddad, the weightlifter who is the face of the campaign. Over recent years, increasing numbers of Muslim women have expressed the need for modest sportswear that will allow them to keep fit and Nike has listened to their concerns. Advocating inclusiveness, the company declared in a statement, “the Nike Pro Hijab has been a year in the making but its impetus can be traced much further back to Nike’s founding mission, to serve athletes, with the signature addendum: ‘If you have a body, you’re an athlete. '” The cultural shift that is seeing more women embracing sport is looking set to continue which will hopefully make it easier for a new generation of female athletes to pursue sports professionally. 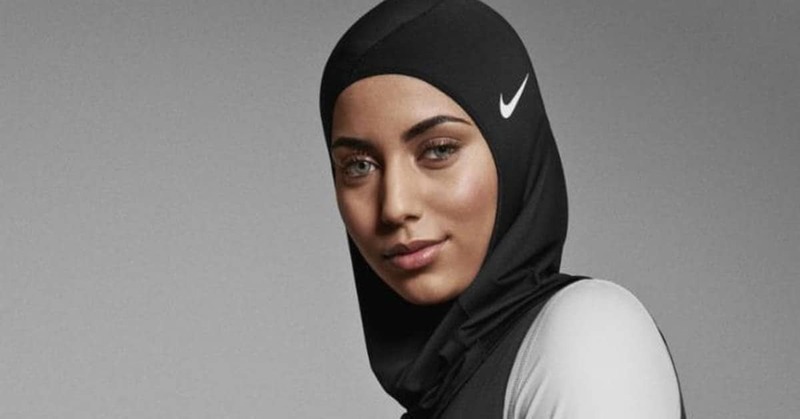 At the request of the athletes, the designers placed a signature Nike Swoosh just above the left ear to highlight the hijab’s pinnacle performance nature. AtlasAction: Break stereotypes like these hip-hop hijabis. Adapted from a piece by George Armour for Futures Centre. Tags: Awareness raising, Business, Consumerism, Culture, Fashion, Identity, Media, Peace building, Women.